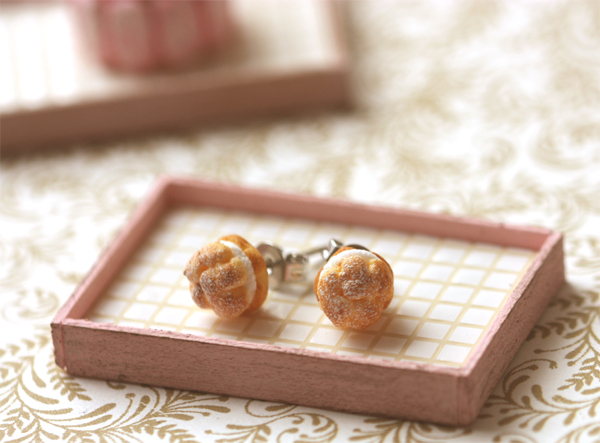 Food Jewelry - My signature cream puffs are now available as earring studs. These are bigger than the dollhouse miniature cream puffs. This listing is for 1 pair of cream puffs earrings. Measurements of each cream puff is about 0.7cm in diameter.